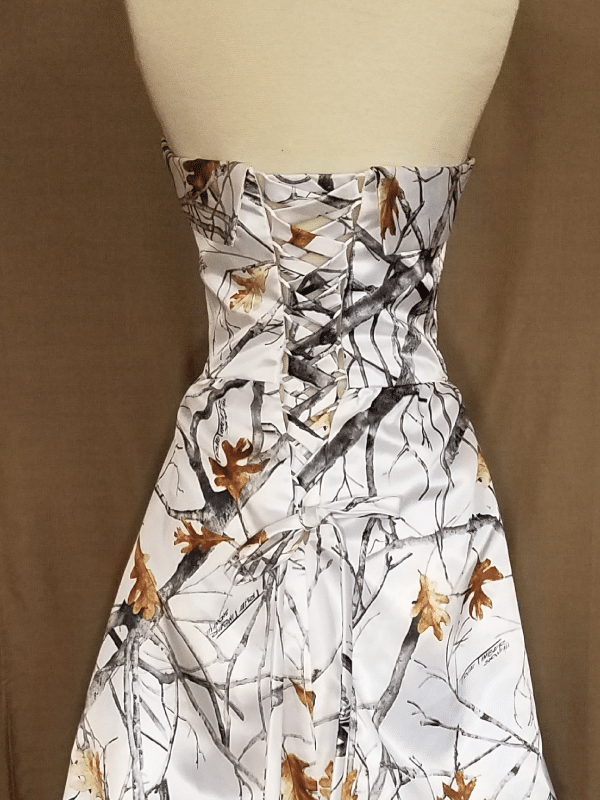 “This in-stock TARA dress is a size 24 in True Timber Snowfall camo pattern and white netting. 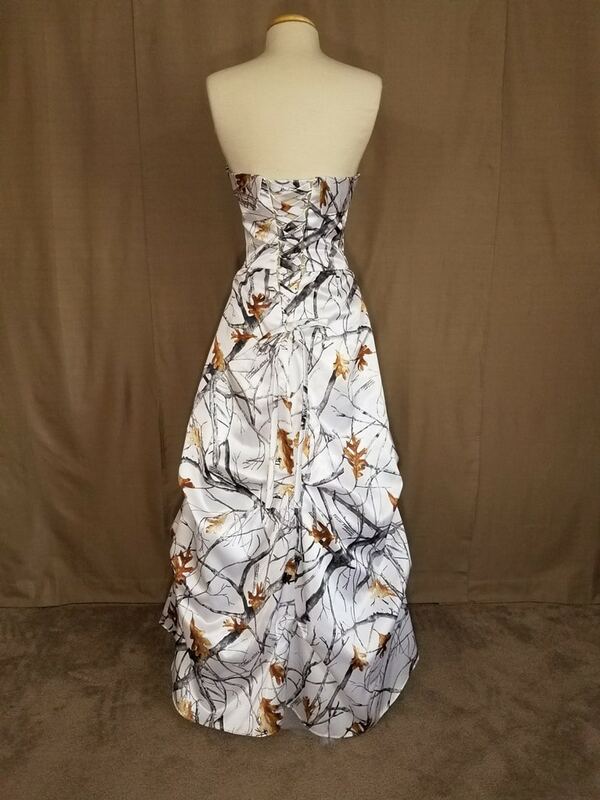 This dress is on sale because it was worn for about an hour in a fashion show. There is no damage to the outside of the dress but it may have some minor dirt on the train from the runway show. TARA is an elegant, Victorian style formal gown with a strapless sweetheart neckline, a fold-over bodice in True Timber Snowfall, and a corset back with a matching modesty panel in True Timber Snowfall. 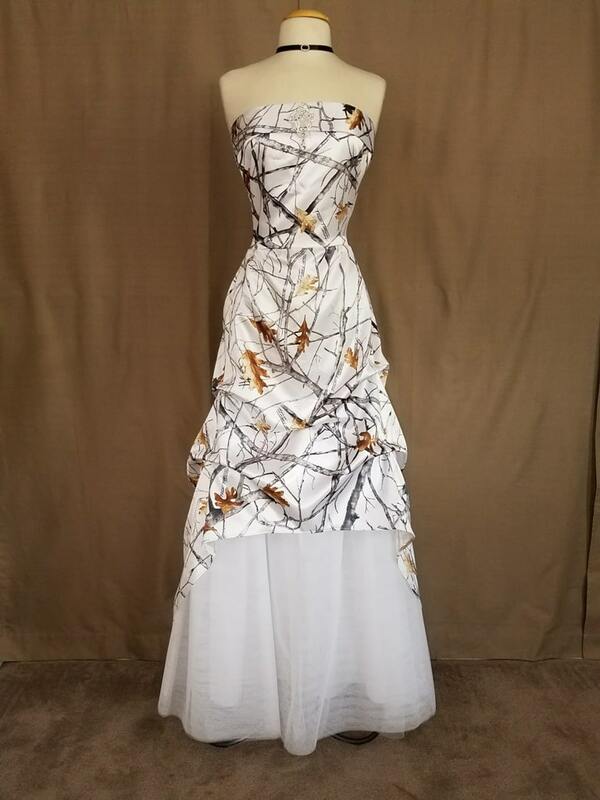 This gown is floor length with a high-low satin overskirt with white netting underskirt. 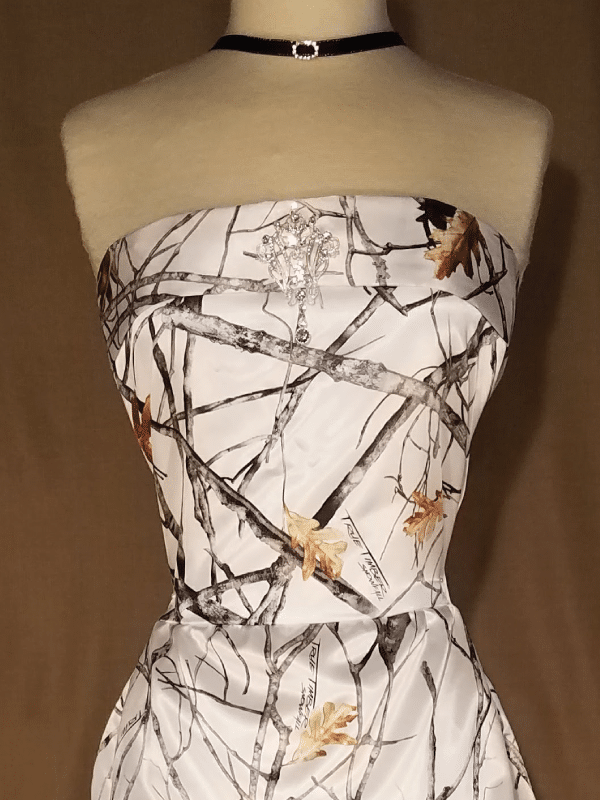 A rhinestone brooch/pin is attached to the bodice center for added glitz. This size 16 has measurements of B-45, W-41, H-46.